Nathan Pretty has secured the last-ever V8 Utes round win at Mount Panorama, taking out the third and final race at the Supercheap Auto Bathurst 1000. After his Race 1 win on Friday, Pretty drew grid position 10 for Race 2’s reverse-grid marble selection. He progressed to eighth despite a five-second penalty for weaving after the Safety Car lights had been extinguished, and still scored enough points to start on pole in the final. 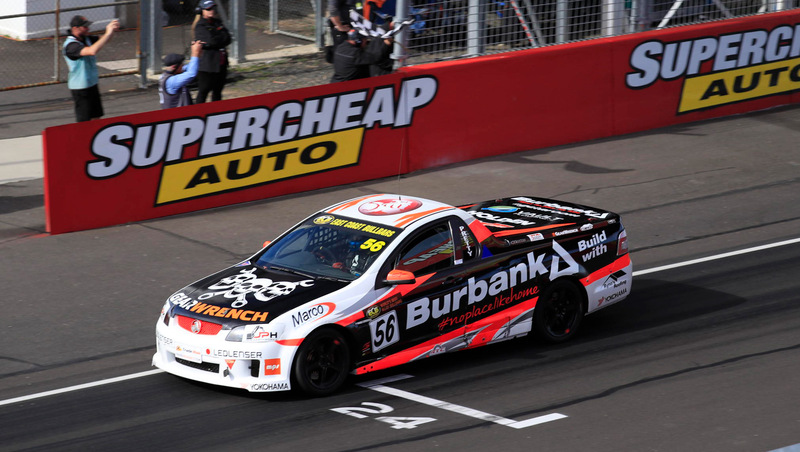 In the last Bathurst race for the Ford vs Holden Utes before the introduction of the new SuperUtes Series in 2018, Pretty was pursued all the way by title contender Ryal Harris. It was Pretty’s fourth V8 Utes race win on the Mountain, and first overall round victory, in his first start of 2017. “We’ve been trying to do this for ages, so to do it in these circumstances – jumping in after not racing since last year – is pretty incredible,” Pretty said. “In Race 2, I suppose you would call weaving after the Safety Car a rookie mistake. “Fortunately we still started on pole for the final and it was an intense battle with Ryal right to the end. Second place for Harris was enough to wrestle the series lead away from Kim Jane, albeit by the slender margin of just three points with two rounds remaining. “We were quick over the top, but we didn’t quite have the straightline speed to challenge Nathan on the straights,” Harris conceded. Jane continued his consistent season by finishing third for the round, keeping himself well in the title hunt. “The bad news is we lost the series lead, but the good news is that we can take out 20 kilos of success ballast for the next round,” Jane said. The other happy camper was New Zealand driver Matt Spratt, who scored his maiden V8 Utes win in Race 2. Spratt led from pole position and established a three-second lead, which evaporated when the Safety Car was deployed to deal with the stranded car of Marcus Zukanovic at the Cutting. At the restart, Blake Scibberas launched an opportunistic move on Spratt at Griffin’s Bend but Spratt recaptured the lead at Murray’s Corner. “To get a race win in my very first visit to Bathurst is really cool,” Spratt said. The penultimate V8 Utes round is at the Vodafone Gold Coast 600 in a fortnight.